Agriculture is an exciting and fast developing industry, harnessing new science and technology to increase productivity and efficiency on farms. Creative approaches, critical thinking, and innovation are needed to drive forward this longstanding yet resilient industry. There is a shortage of skilled professionals in a wide variety of positions in the sector who can take on these challenges of new agriculture production, harnessing technology and forging policy. BSc Agriculture aims to help fill this skills shortage giving you a wide knowledge of the industry, along with analytical and problem-solving skills demanded of such roles. 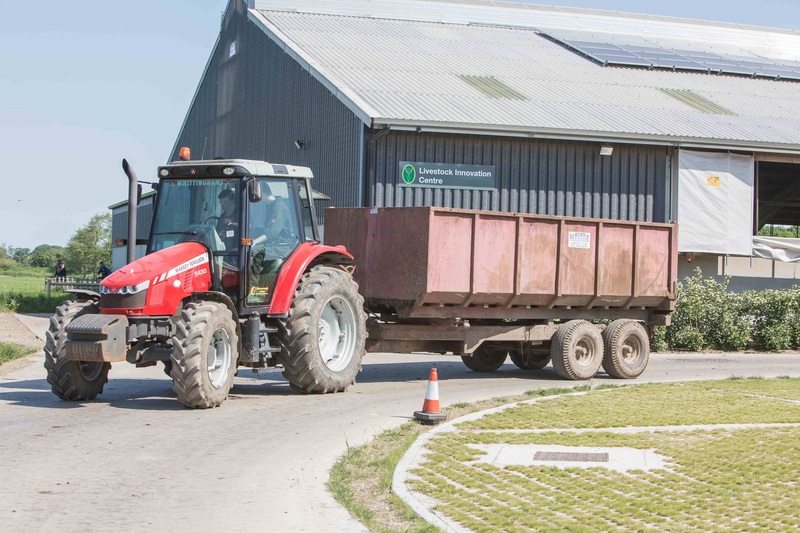 Making use of our new Farming and Food Innovation & Technology Centre, this course will focus on livestock and crop production as well as essential business entrepreneurism. The final year options allow you to specialise in either livestock or crops or continue to study a mix of both with an emphasis on sustainable and novel technologies. There is currently a significant demand for highly trained and well-educated professionals to enter the industry. This has been fuelled by the increasing awareness that food production, farming, tourism, the environment and rural affairs are all interconnected. Anatomy, physiology and environmental assessment are introduced through this core module. With a focus for the agricultural students on livestock, you will explore the fundamentals of animal biology, an understanding of which will help foster successful livestock farmers. The module includes some lab practicals. Here we will explore the professional requirements for a successful career in the sector along with equipping students with the time management, academic writing and critical thinking skills needed to succeed in education and your chosen profession. It is aimed that you have a strong start to the degree and you develop vital transferable skills useful in future project management, data analysis, reporting and presenting information to different audiences. Introduces the main production systems of a range of livestock produced in the UK. Health, disease and biosecurity, animal welfare standards, breeding, nutrition & costings will be included as students develop a full picture of the UK livestock industry. Here you will evaluate entrepreneurship and the entrepreneurial process to develop your business planning skills. This includes marketing and finance in order to aid the formulation of sustainable and enterprising business plans suited for a fast-changing growth industry. Essential for those destined for a career in livestock here you will develop a broad understanding of the biological and biochemical principles which underpin animal nutrition and breeding. Dietary requirements and modern breeding techniques along with the use of cutting edge science will explore how to maximise yield from our livestock. An opportunity to examine the developments and use of current and emerging crop technologies and evaluates their ethical, environmental and economic issues. The design of effective experiments and data interpretation to validate new technologies and crop products will also be covered. Experimental design and data analysis are core themes in this module. It will introduce concepts of statistical testing and further develop skills in presenting and interpreting the results of scientific investigations. The module will give students vital skills in formulating research questions and designing an effective experiment in preparation for the final year research project. A module that critically evaluates the issues with current global land uses. In particular, it will focus on subjects such as climate change, energy use, water management and soil degradation and how current techniques could be altered to achieve lower impacts. Here students focus on the global political, economic and legislative developments and how these will affect the rural environment in the future. The module will establish the framework within which the rural policy operates and explore the direction in which legislation and policy are headed. An opportunity for a student to pursue an in-depth study of the student's own choice which is related to their substantive areas of study. Students will work independently, under limited supervision, in order to develop and demonstrate their research and academic skills and abilities. The dissertation will normally be based on an academic topic using primary and/or secondary data collection techniques. In both cases, academic theory is to be critically evaluated and applied to the research topic. Students will explore advances in the application of emerging sustainable technologies and practices in crop production, including water use efficiency, plant nutrition and crop protection. Students will explore the advances in the application of scientific research to emerging sustainable extensive and intensive livestock production systems, including water and feed use efficiency, animal nutrition and breeding.